Microsoft (s msft) and Intel (s intc) both unveiled initiatives on Tuesday that, while unrelated, show how the Wintel partners are trying to separately navigate a new “post-PC” world. Microsoft unveiled Windows 8 to developers, showing off a new operating system that will work on both tablets and computers and will play nicely with ARM processors. Meanwhile, at a separate developer event, Intel strengthened its commitment to Android, announcing a new partnership with Google (s goog) that will help optimize Intel mobile chips on Android mobile devices. It’s interesting to see the fraying relationship between Intel and Microsoft, which has been tested after Microsoft announced support for ARM chips. Intel’s embrace of Android could be seen as the reaction of a spurned partner. But in the larger picture, the announcements underscore how both are forced to work hard to navigate a new post-PC era in which neither of them are guaranteed success. And since the cozy Wintel relationship doesn’t carry the same clout it did when PCs were king, both are having to scramble and figure how to best position themselves in a world where smartphones and tablets dominate. The fact is that mobile devices, wireless broadband and the cloud are changing what we expect computers to do. And the old paradigm of powerful laptops and desktops leading the way increasingly doesn’t make as much sense with consumers, who are embracing these new computing models. Indeed, in the fourth quarter of last year, smartphone shipments hit 100 million units, outpacing PC shipments for the first time. And iPad sales are booming while a credible rival has yet to emerge. At its Build conference on Tuesday, Microsoft showed its hand with the Windows 8 operating system that builds off its Metro-style, tile-based interface, which began on Windows Phone 7 and is now moving across Microsoft’s products such as the Xbox. The interface works just as well for fingers as mouses and showcases Metro-style apps at the heart of the experience. The new operating system will work off ARM-based chips from Nvidia (s nvda), Qualcomm (s qcom) and Texas Instruments (s txn) as well as existing x86 processors from Intel and AMD. Microsoft is promising ultrathin PCs and tablets that will run Windows 8, turn on instantly and run all day on a single charge. 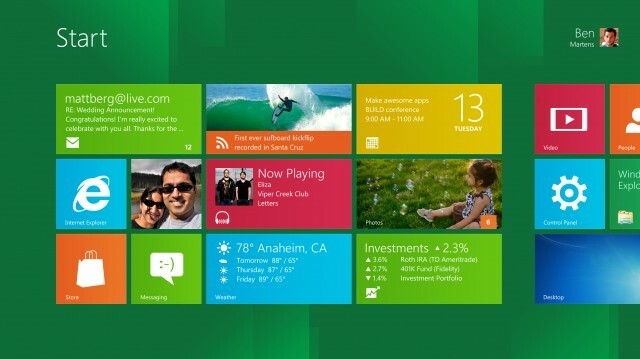 Windows 8 will appear in about a year’s time. Meanwhile, Intel used its Intel Developer Forum to announce a new partnership with Google to optimize its Intel Atom architecture for Android mobile devices, from the OS kernel to multimedia and graphics. The two will work together to speed the time to market for Intel-based Android devices. 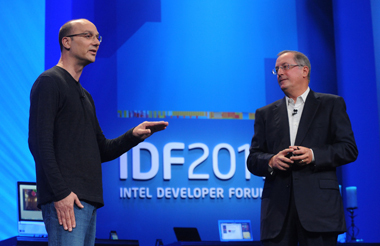 Google Senior VP Andy Rubin appeared alongside Intel CEO Paul Otellini, who showed off prototypes of an Android tablet and phone. Intel had previously promised dozens of Android tablets built with Intel processors and had hoped to have a smartphone available through Nokia this year, a plan that was quashed when Nokia partnered with Windows Phone 7. The chipmaker said to expect Intel-based devices by early 2012. Intel has partnered with Google before, on Google TV, so it’s not completely surprising that it will be extending its relationship around Android. Otellini is also on Google’s board. But the partnership is a good sign for the world’s largest chipmaker, which has struggled to compete in the market for smartphones and tablets. The company has said that its chips are getting a lot more efficient and will be more popular as these post-PC devices demand more performance. Getting Google on its side could help its chips shine on Android, which is an opportunity Intel desperately needs to make good on as PC sales slow. Microsoft’s support of ARM is not new, and that support is understandable, because the Windows maker needs a presence on post-PC devices. Right now, Windows Phone 7 is having minimal effect on the smartphone market. But the announcement on Tuesday again underscored how it will need power-sipping chips to compete in the market against the iPad (s aapl). It’s touting all-day battery life for laptops and tablets, and that’s more likely to come from ARM chips, which are still more power-efficient than Intel’s and are the dominant architecture for mobile devices. Both companies are facing struggles ahead as they navigate this new terrain. Microsoft needs to show that one operating system can serve both tablets and PCs and not alienate either audience. 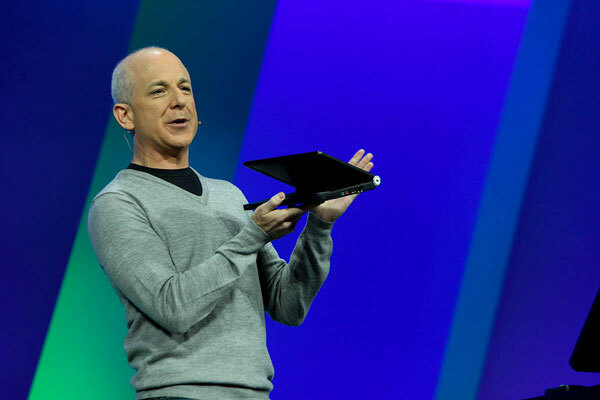 It also needs to win over developers and show them how their apps will shine on Windows 8. Intel has to prove that it can actually deliver both power and efficiency in its mobile chips. Android devices already suffer from bad battery life in most comparisons to iOS devices, so Intel has its work cut out for it. But if Intel can get its mobile act together and Microsoft can nail its execution with Windows 8, who knows? Maybe these two will forge a tight relationship down the line. But right now, they both have to prove to the world and each other that they are each well prepared to compete in this new era. im sorry thats just misinformed. windows is already optimized for intel.. how would this be a different roadmap to announce better support for android? i think someone needs to get infromed. That was one of the worst cases of circular reasoning I have ever seen. Basically you made a pile of stuff up. And then used it to prove that it was true. Except it isn’t of course. Just why do Intel and Microsoft have to prove to each other they can succeed? And why does either one working with another manufacturer mean the kiss of death for the other? Intel already works with Apple. Microsoft already works with ARM, Qualcomm and just about every other chipmaker out there. And yet, they are extremely important partners with one another. How can that be? Well, clearly in your mind it can’t so you had to make up this nonsense. In reality, of course, they are partners – not exclusive partners – and are mature organizations that can handle this complex notion. Microsoft and Intel are of course still partners and that’s going to be important for a long time. It doesn’t mean they don’t mean anything to each other any more and I didn’t say one would die without the other. But the reality is they are reaching out to new partners with more urgency now and i do think it’s in response to the way the market has changed. Enlightening. Those of us in the PC repair world still have plenty of work, but we need to be proactive about reinventing ourselves.